Since Google Chrome COMES pre-installed on all Android devices, it’s the most used browser among Android users. Which is the best web browser for Android? 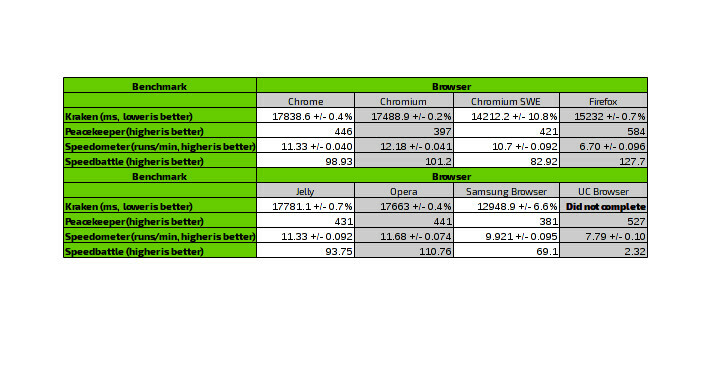 Moreover, which is the fastest Android web browser? Is it Google Chrome, Mozilla Firefox, Opera or UC Browser? The benchmark test results will surprise you! Keep reading to know the answer! We use our Android devices for browsing the Internet every day. According to statistics, more than 1.5 billion Android devices used the Internet in 2017, outrunning Windows desktops. There are a plethora of Web Browsers available on the Android platform and, most of us have used more than one on our Android device. Have you ever wondered which is the fastest one of them all? With 2017 – a year with great software advancements – coming to its end and passing the torch to 2019, it is a great time for a speed comparison among popular Web Browsers. 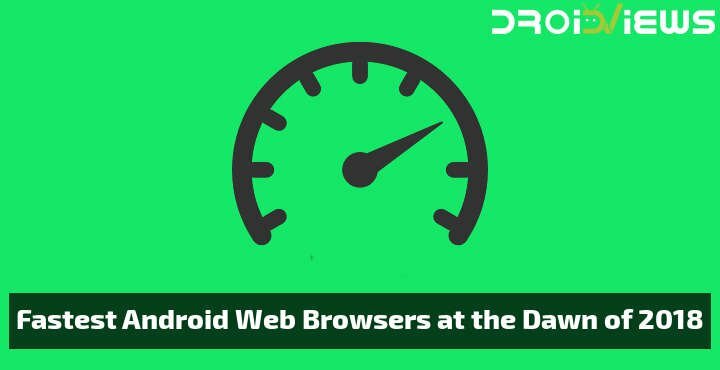 Just go through this article to find out the results of the test done to find out the fastest and the best Android web browsers available today. This test comes from a company that focuses on benchmark tools. It is designed to test how fast a browser completes common everyday tasks, like browsing social media, listening to audio and playing videos. In the end, peacekeeper provides an overall score. Testing all available Android Web Browsers is just not possible. We chose to test the 5 most popular Web Browsers. We also added LineageOS’s official browser – Jelly – in the list, as it is the browser that comes pre-installed in the greatest percentage of custom ROMs out there. Lastly, Chromium SWE (a custom build of Chromium for Snapdragon devices) and vanilla Chromium were also benchmarked, just to observe if there is any significant difference between them. 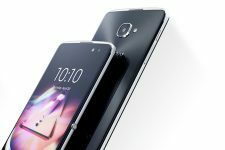 We conducted all tests on a budget, 3-year-old device featuring a Snapdragon 200 chipset. The chipset packs 1 GB of RAM and 4 ARM Cortex A7 cores clocked at 1190MHz. Graphics unit on this device is an Adreno 302, running at 500MHz. Android version is 7.1.2 (LineageOS 14.1). By using a budget device, another parameter appeared in the test: low processing power. Since most Android devices in the world belong to the low and mid-range segment, a browser must be capable to complete a task fast, without wasting a big amount of resources in the meantime. All tested Browsers were running with only one tab opened. We also disabled all plugins. Each benchmark runs three times on each browser and the best score was selected. No other App was open while the benchmarks were running, to ensure the browser did not run out of memory by any external means. If we look at the results from another angle, we can safely say that Chrome, Chromium, Jelly, and Opera browsers are nearly on-par in terms of speed. Interestingly, UC browser (which enjoys an enormous user base) failed on most tests. It did not even manage to complete the Kraken test. It might be faster than the results represent, but clearly not on lower-end devices. We should note that a “Go” version of UC browser appeared recently on the Play Store, targeting less capable devices. 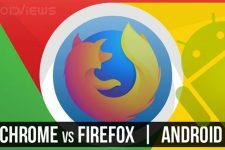 Firefox has managed to surpass Google’s browser on Android, just like it did on desktop platforms. Tested Firefox version though was 58.0, which is still in beta stage. Chromium SWE does provide some speed enhancements on Snapdragon platforms, but getting a recent version of it (version tested was quite old) might be difficult. There is no developer actively building APKs for it anymore. If you do not like Firefox, your best choices are Google’s Chrome and Chromium, and Opera. Finally, if you are using a LineageOS based ROM, Jelly browser does a great job, despite being small and still young.